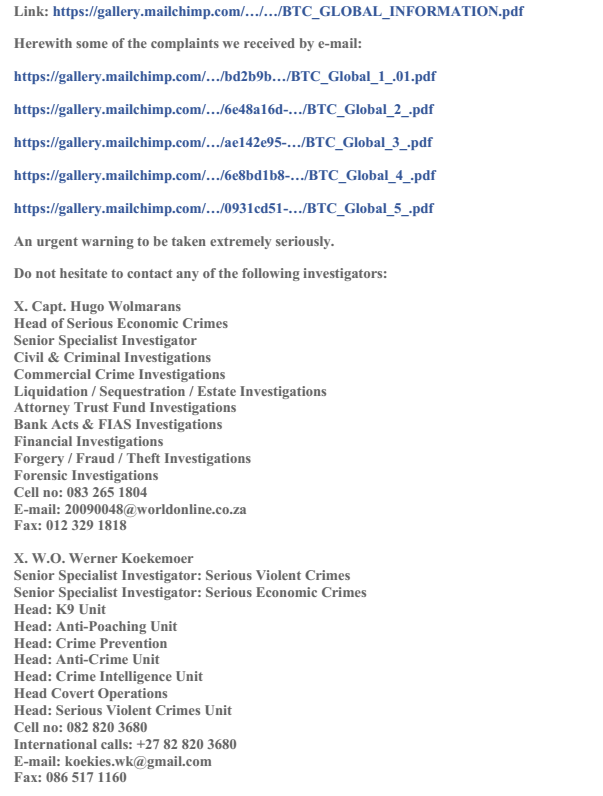 BTC GLOBAL SCAM — Confirmed by Pretoria Private Investigators!! 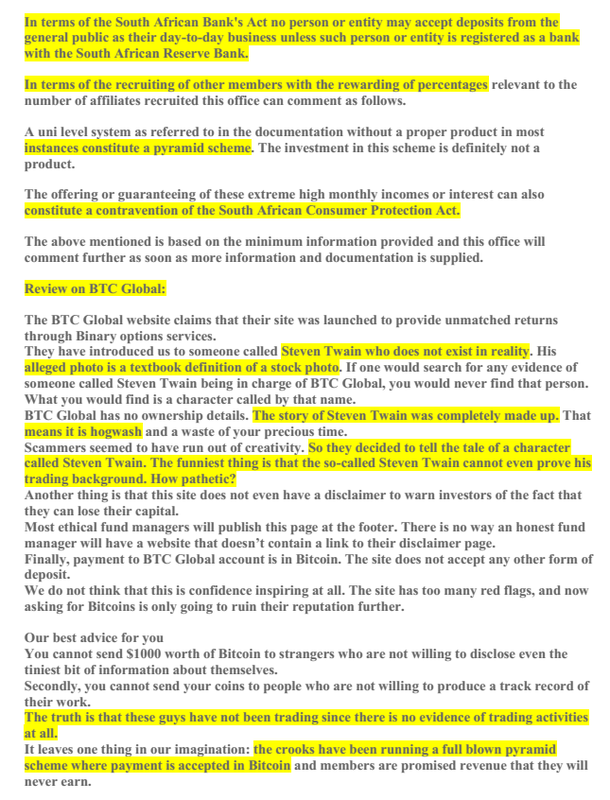 BTC GLOBAL SCAM — Confirmed by Pretoria Private Investigators!! THEY ALSO CONFIRM STEVEN TWAIN DOES NOT EXIST! 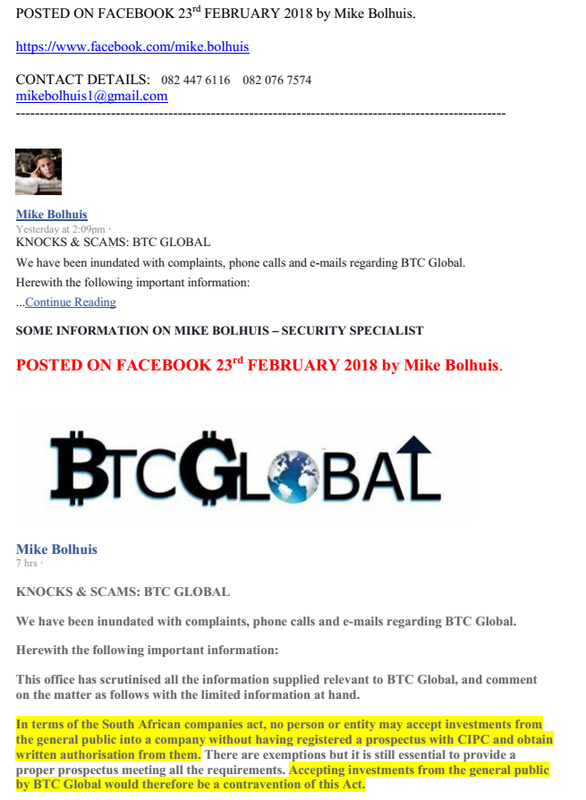 ON 23rd FEBRUARY MIKE BOLHUIS POSTED PUBLICLY ON HIS FACEBOOK PAGE ABOUT THE BTC GLOBAL SCAM. 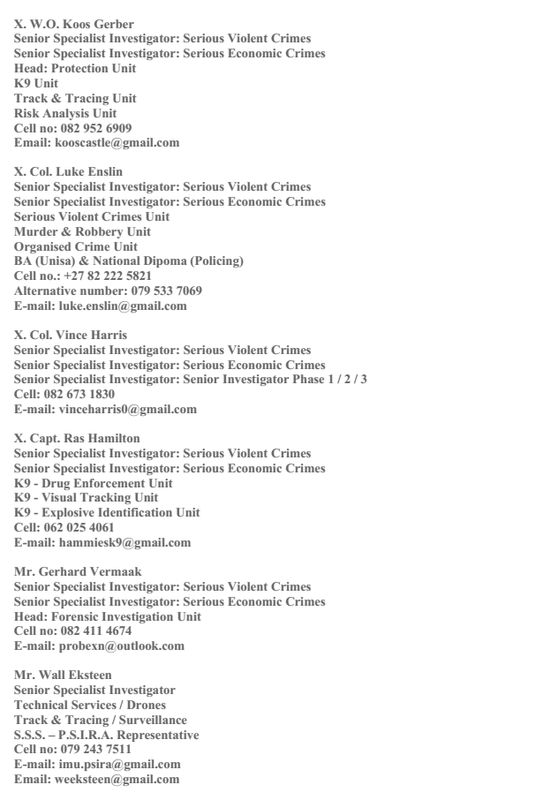 He and his team who are experienced ex-police officers, investigated BTC Global after being inundated with complaints. 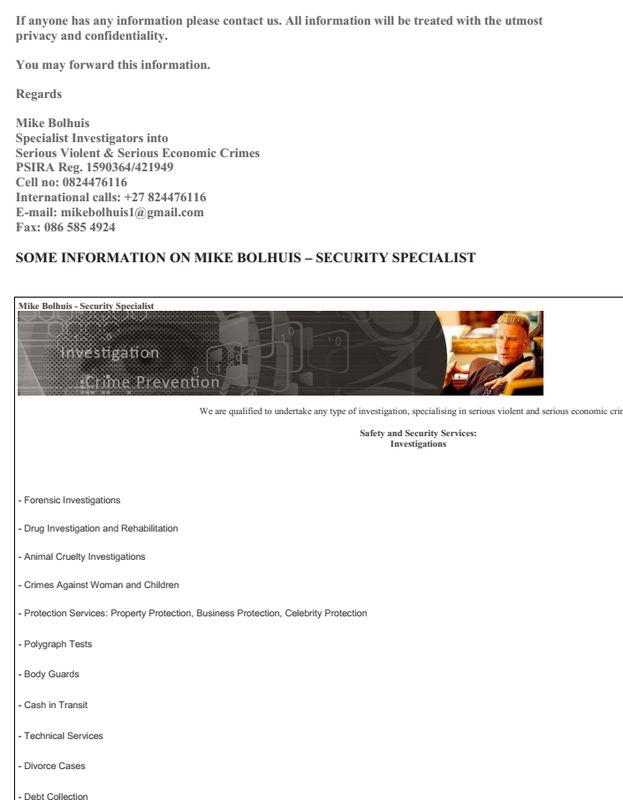 Mike Bolhuis invites any person with information on BTC Global to send it to him. 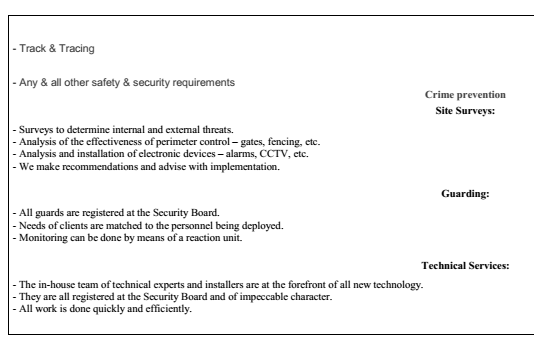 All details are in his post which follows.